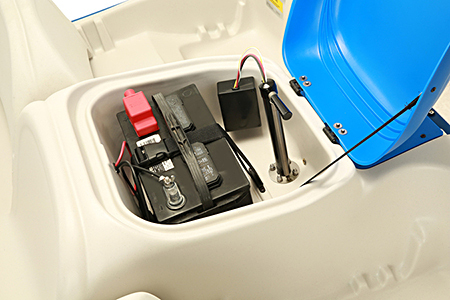 The Sun Dolphin Water Wheeler ASL E electric pedal boat operates on pedal power or motor power via its built-in 30 pound thrust electric motor. 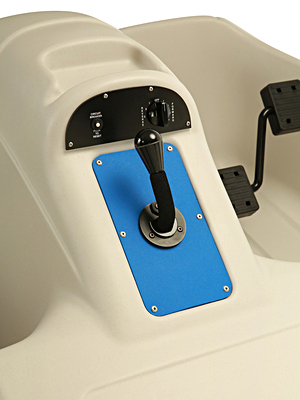 This premium pedal boat features a canopy, fully reclining seats, and adjustable seat backs that allow riders of varying heights to reach the pedals. Seats 5 (2 adults and 3 children) comfortably. 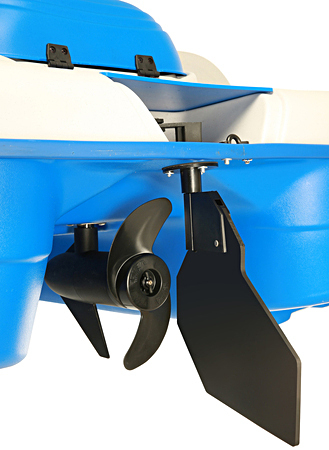 Whether you want to pedal or let the motor do the work, the Sun Dolphin Water Wheeler ASL E is perfect for all day fun on the water with the whole family. The price of this item does not include truck freight (ships by semi) to your location. If this item is ordered online, before processing the order, we will obtain freight quotes to the shipping address provided on the order. We will email you the best quote for your approval. Free Pick Up In Muskegon, Michigan. Tip: It is generally less expensive to ship this item to a business address that has a loading dock or forklift. If you would like a shipping quote before ordering, simply add the item(s) to your cart, then go to the cart and click Submit Items in Cart For Shipping Quote. You will receive the shipping quote by email (usually the same day). Quote requests received after 3:00 PM CST or on weekends will be sent the morning of the following business day. To get a shipping quote before ordering, simply add items to your cart and click [Submit Items in Cart For Shipping Quote]. Quote will be emailed to the email address provided. 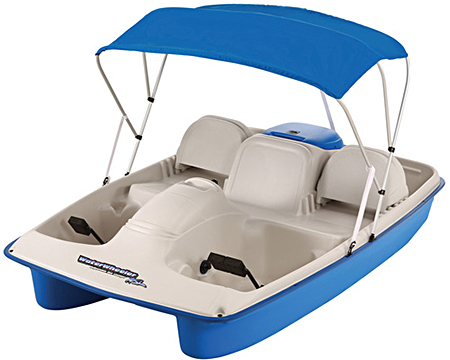 Optional Accessories Sold With Purchase of Pedal Boat Only. Ships at no cost.